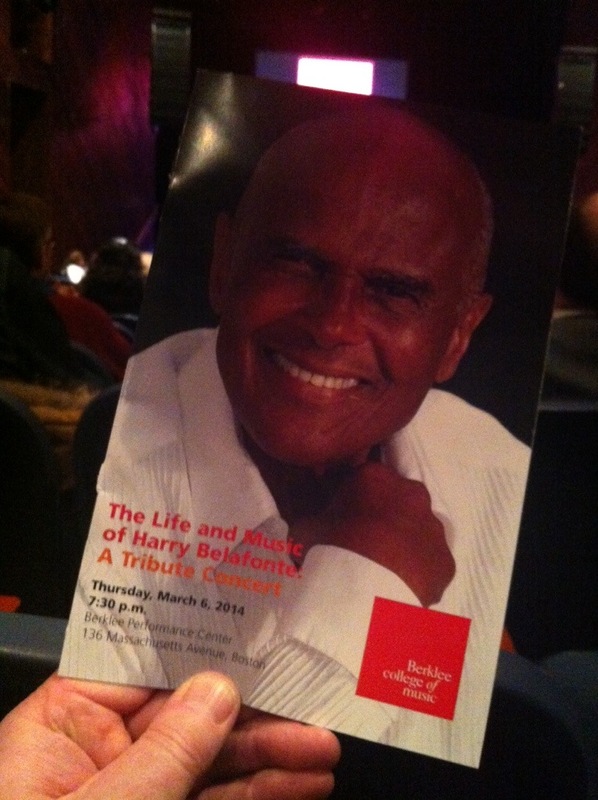 A celebration of Harry Belafonte’s life and music at Berklee. 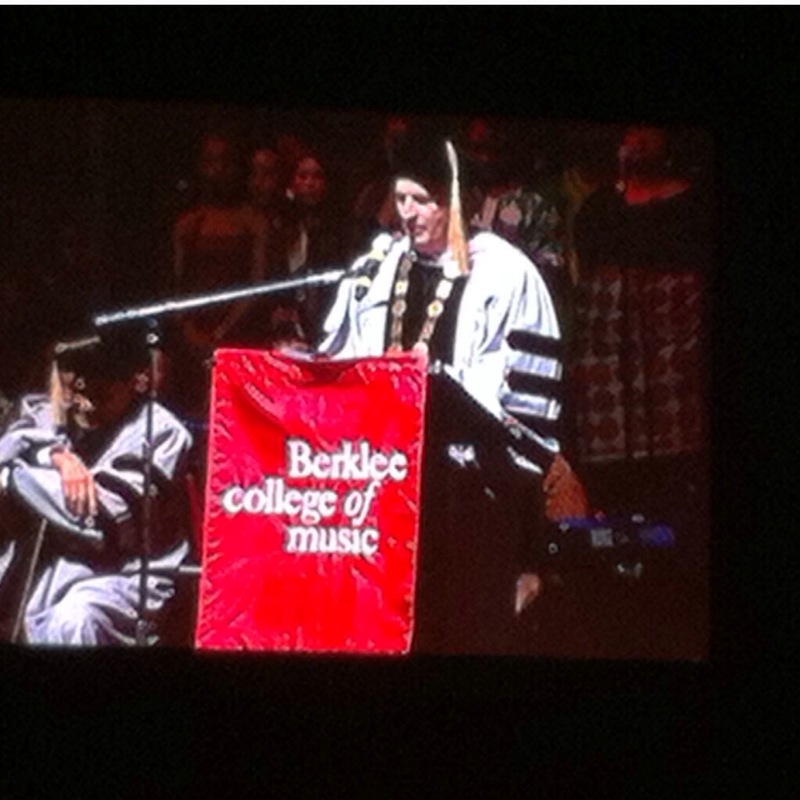 Great love fest and concert last night for the ever-dignified and charismatic Harry Belafonte, the “High School drop out getting an Honorary Degree from Berklee.” At the age of 87, Belafonte stopped singing in public a few years ago,though you could spot him in the finale at least mouthing the words to “We Are the World,” the 1980s megahit for African famine relief that Belafonte brought in to being. 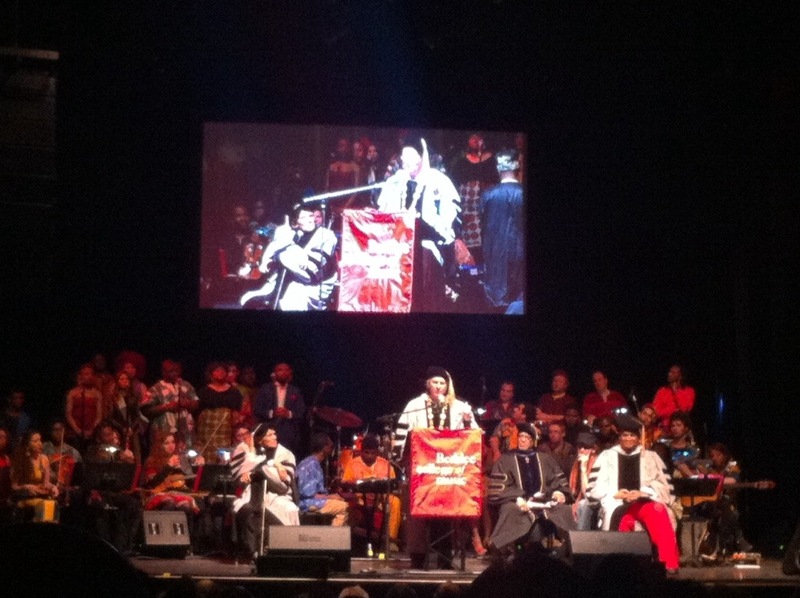 Moments before awarded Harry Belafonte his honorary doctorate, Berklee President Roger Brown speaks about his remarkable career. That is how the current generation of Berklee College of Music students knows the singer, said Larry Watson, the professor who produced the show, introducing a rousing encore of the song. But to an earlier generation — long before Michael Jackson crowned himself the King of Pop — Belafonte was the “King of Calypso.” He was the first recording artist to sell a million copies of a single album, and he had enduring hits with “Matilda” and “The Banana Boat Song” (that’s “Day O” to fans of “Beetlejuice” or “The Muppet Show”), both of which were part of the program presented by four dozen or so colorfully attired students.